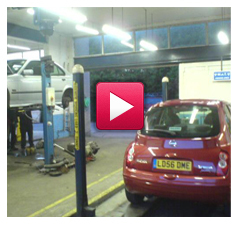 For complete garage services in Surrey from a professional team of qualified, experienced technicians, contact your friendly automotive experts at Robe and Hitchens LTD today. We specialise in all types of vehicle servicing across a full range of passenger and light commercial models and all of our work is completed without affecting any current warranties. Our mechanical repair work is unrivalled throughout Surrey. Our insistence on using quality OEM or equivalent parts ensures all work can be completed in complete confidence. Our open and transparent approach to automotive repairs means that we will never try to upsell our services or recommend any other work than is absolutely necessary. Robe and Hitchens LTD provide convenient MOT testing from our popular workshop where fully equipped inspection bays and comfortable viewing facilities are available. All MOT tests are undertaken by experienced, VOSA-trained technicians with a complete commitment to ensuring your vehicle is always in a safe and roadworthy condition.